If you are looking to entice and entertain your guests, it’s time to start thinking outside of the box. How does the shape of a baseball diamond sound instead? Globe Life Park in Arlington is the event space of your dreams. 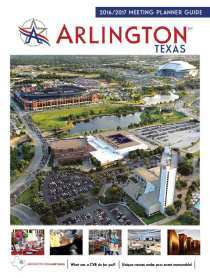 The renowned stadium can offer more as an Arlington event venue than you ever imagined. Whether you are planning a corporate outing or trade show, festival or wedding, Globe Life Park has the facilities you need to impress and make your special event dreams a reality. Home of the famous Texas Rangers, Globe Life Park offers flexible rental spaces, both indoors and out. On non-game days, consider Instagram-worthy options such as dinner around the diamond or cocktails under the lights. On game days, accommodating meeting areas still abound, ideal for award ceremonies, banquets, alumni nights, holiday parties, fundraisers, and more. Select from areas such as the Hall of Fame Theater, which includes a private entrance, the 4,000-square-foot Captain Morgan Club, or 17,000-square-foot Jack Daniels Club to find what works best for you and your guests. There are options for presentations, cocktails, and seated meals. The first and third-base concourses offer all the room you require for festivals or other large events. With numerous outdoor options and four indoor clubs, there is sure to be the space that&apos;s a perfect match, no matter your plans or party size. For example, consider hosting your event in the multilevel, 6,500-square-foot Texas Rangers Hall of Fame. Located behind right field, it is an attraction in its own right and also offers a view of the playing field you won&apos;t want to miss. Your guests will delight in learning baseball lore while taking photos with the displays and historic memorabilia. Baseball fans are always wowed by Globe Life Park’s exclusive extras. What would you say to an appearance by Texas Rangers mascot Captain, for example? Would you rather meet members of the Six Shooters pep squad? Or shake hands with some of the beloved alumni players? All you have to do is let us know. If you are interested in venturing into the dugout or taking a look behind the scenes, we are more than happy to arrange tours of the stadium. Another great option is thrilling a special guest with a personalized message on our scoreboard, a gesture that&apos;s always a crowd pleaser. Plus, you can add some activity to your night with the Batting Cage Experience, and the little ones will delight in the Kid&apos;s Zone. 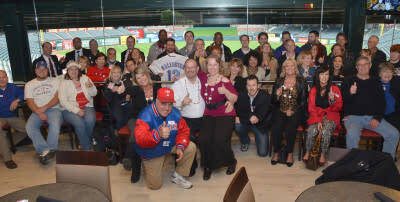 Yes, a night at Globe Life Park is one everyone is sure to remember. The food at Globe Life Park can&apos;t be beat. No matter if you are looking to serve appetizers with cocktails, an all-you-can-eat buffet, or a formal dinner, you are sure to love the cuisine by the award-winning culinary team. You can order from our catering menu or work with us to create a custom meal better suited to your needs. No matter what you require, the results are guaranteed to be delicious. Booking a Globe Life Park venue takes the stress out of event planning. Your time here will be as practical as it is entertaining and unforgettable. Let us help you arrange the perfect event today.